Rain? Who cares? GHOST TOWN events are just CREEPIER in the rain, so don your boots, grab and umbrella, and join us! Ghostly Gardens ends tonight – so this is your LAST chance! Stop by 6:30-8:30pm. Then head on down to St. Luke’s for some Ghost Stories, and end the day with a Graveyard Tour, or the Rocky Horror Picture Show, or even a Hallowe’en Dance. Humerus & Patella, our spokeskeletons, were very very excited to see some of their favourite old friends return to the Gardens. Lots of bats, witches, ghosts… and the Big Giant Heads. And new scary creatures they hadn’t seen before! 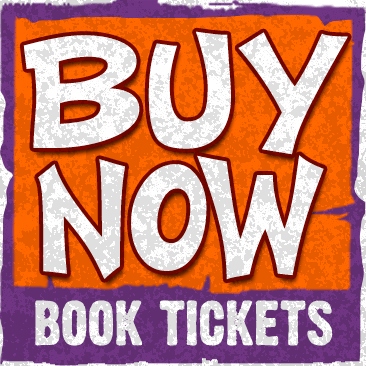 ← Ghost Town – some great events!